Here’s all you need to know about the Match 35 of BBL-8 between Melbourne Stars and Melbourne Renegades from Docklands Stadium. BBL 2018-19 Live Cricket Streaming, Melbourne Stars vs Melbourne Renegades: In their last meeting during the ongoing eighth edition of Big Bash League, Melbourne Stars trumped the Renegades courtesy of a Peter Handscomb special. Interestingly, a lot has changed since then for both the teams and the Renegades are sitting pretty at the second position in the points table, while Stars are at the bottom. Apart from a blip against the Brisbane Heat recently, Renegades have looked in good touch. They were thoroughly clinical in their last game against the Sydney Sixers and will be definitely confident of repeating similar heroics. Also, the return of Aaron Finch will give the Aussies a major boost, he will be leading the side. 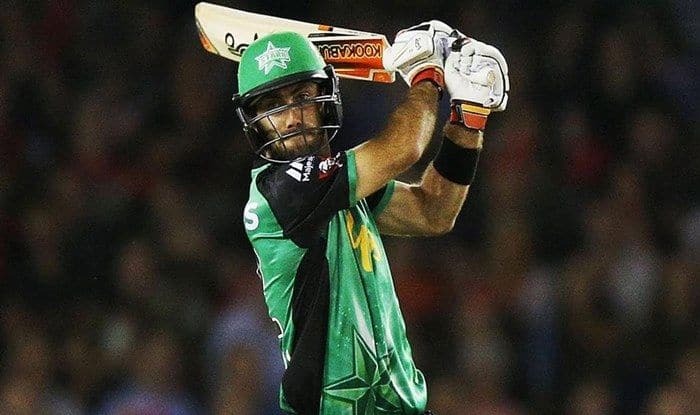 For Stars, the return of the likes of – Glenn Maxwell, Peter Handscomb, Adam Zampa, and Marcus Stoinis will bolster the squad in the much-awaited derby. Suddenly, the Stars look a completely different unit and it will be interesting to see how they fare now. Here’s all you need to know about the Match 35 of BBL-8 between Melbourne Stars and Melbourne Renegades. What time does the Melbourne Stars vs Melbourne Renegades match in the BBL-8 starts? The Melbourne Stars vs Melbourne Renegades match in the BBL-8 starts at 1:15 PM IST, January 19 (Saturday Afternoon). Where is the Melbourne Stars vs Melbourne Renegades match in the BBL-8 being played? The Melbourne Stars vs Melbourne Renegades match will be played at the BBL-8 at the Docklands Stadium, Melbourne. Which TV channels will live broadcast (in India) the Melbourne Stars vs Melbourne Renegades match of BBL-8? Melbourne Stars vs Melbourne Renegades match in the BBL-8 will be live telecasted on Sony Sports Network in India. How to watch the free online live streaming of Melbourne Stars vs Melbourne Renegades match in the BBL-8? The free online live streaming of Melbourne Stars vs Melbourne Renegades match in the BBL-8 will be available on Sony Liv app and Jio TV. What are the probable playing XIs of Melbourne Stars vs Melbourne Renegades match in BBL-8? Melbourne Stars Probable XI: Peter Handscomb, Ben Dunk, Travis Dean, Glenn Maxwell (C), Marcus Stoinis, Dwayne Bravo, Evan Gulbis, Scott Boland, Jackson Coleman, Sandeep Lamichhane, Adam Zampa.